Nordic Track Treadmill models boast of powerful motors, strong warranties and are among the best in the market. However, the differences are usually more subtle whenever you are choosing between Nordic Track models than when you are choosing between two models of different manufacturers. NordicTrack was started in the year 1975 and is based in Minnesota. The company gained its fame due to its innovative cross-country ski machines. Today, ICON Health and Fitness which also sells treadmills globally owns this company. 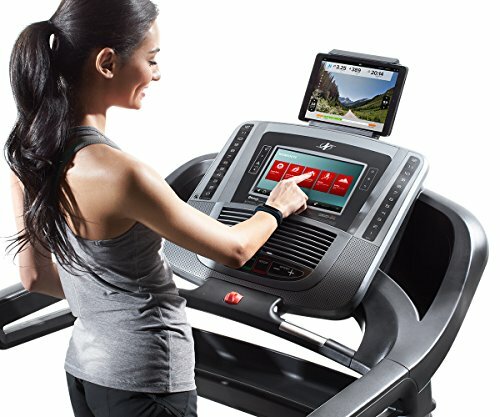 The sticker prices of NordicTrack Treadmills are usually between $1,299 and $3,499 but there are some units whose prices are usually as low as $799 when NordicTrack are promoting them. The C Series are the most affordable NordicTrack treadmills and they are ideal for walkers. If you need more capacity and luxury, you should go for the Commercial Series or the Elite Series. 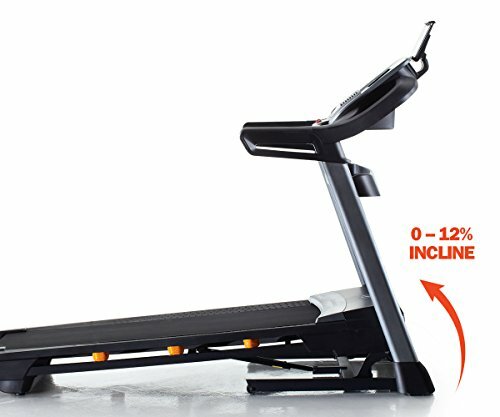 NordicTrack Incline Trainers are the forth series and are particularly useful to individuals working to shed some weight. The incline trainers have around 6% declines and 40% inclines. When designing the Commercial series, NordicTrack considered intense and frequent use. Therefore, they included stronger motors and better warranties. The commercial series are known to be among the best treadmills in the market. Considering all the new series in this category, the manufacturer has included declines, inclines, extra wide workout belts and iFit readiness. The C Series includes the most affordable models from this manufacturer. For several reasons, these machines are an ideal option for walkers. They have 3.0 CHP that allows more intense training. To save money, a walker needs to avoid the 60” track treadmills and should select the 55” track instead. The treadmills in the series are either 55” tracks or 50” tracks. Moreover, these treadmills are ideal for individuals who would like to lose the maximum weight. They have 3% or 6% declines and 40% maximum inclines. The manufacturer relied on th urn more calories faster when on an incline than when they are exercising on 0% grade. This model has many features which makes it ideal for home workouts and which will enable you to achieve your weight goals. The machine features FlexSelectTM Cushioning which allows you to soften the impacts – you can also set it to stimulate a true feeling of road running. It is also iFit Technology compatible and you can, therefore, replicate outside runs with Google maps. NordicTrack T 6.5S has an easier to read 5-inch backlit display which tracks the distance, speed, time, calories and pulse rate. With the treadmill, you can also follow your running on replica quarter mile long track. To mix up the aerobic intensity, you can rely on the available 20 workout apps that use varying inclines and speeds. 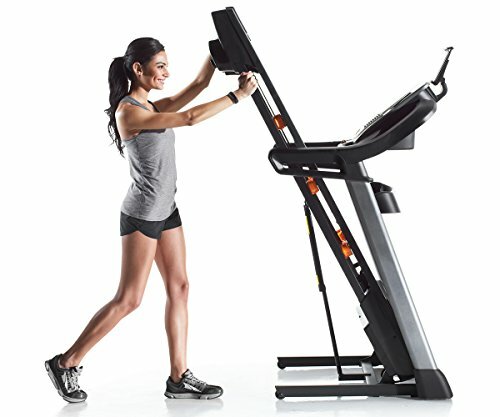 This treadmill is also iPod compatible and boasts a SpaceSaver design with an EasyLiftTM Assist and therefore easily folds up and saves more floor space. NordicTrack C 990 Treadmill is the latest under $1000 model from NordicTrack. 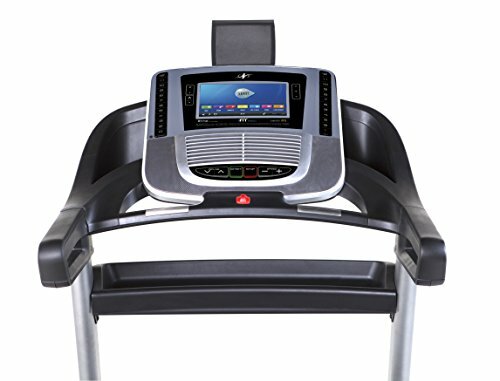 The treadmill includes several upgrades such as a full color console that has a web browser. The color console makes it the most affordable treadmill that has a full color console. This product also provides the users with several great benefits such as a strong 3.0HP motor, adjustable cushioning and 12% incline. Full-color console that has a web browser: this is a big change that the manufacturer added to this 2017 model. The 7” multi-color touch screen console allows you to surf the internet and watch the scenery go by using the iFit LIVE. Beefy Basics: this treadmill provides you with several basics that you won’t get in the treadmills below $1000. 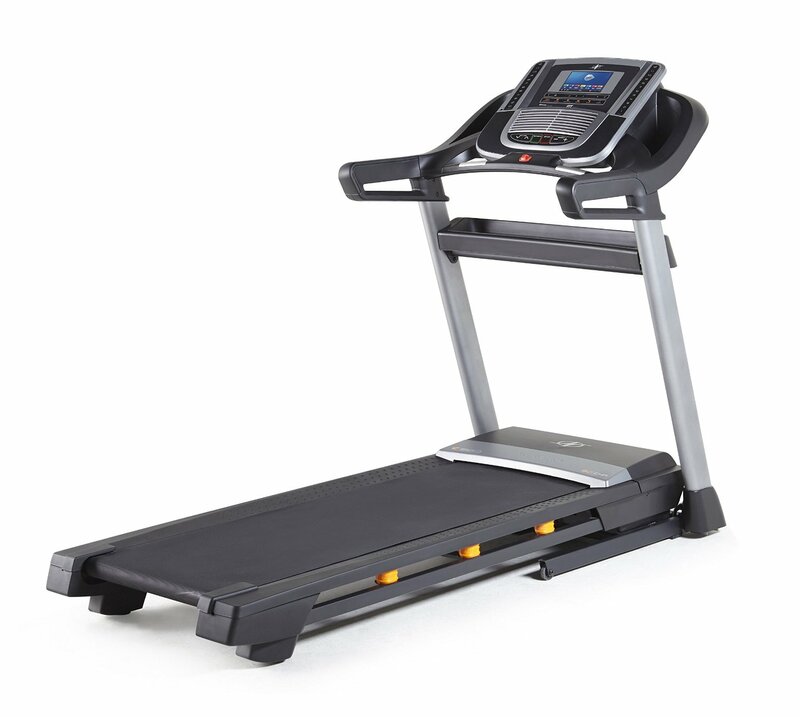 For example, the treadmill features a 3.0HP motor, 2.5” rear rollers, and 60” belt. Tablet holder: the treadmill has sturdier brackets that hold your tablet during your workouts and you can, therefore, watch your favorite movies or even shows or surf the internet. Adjustable cushioning: this feature that you hardly get in the treadmills below $1000 allows you to customize deck feel to suit your personal needs. IFIT compatible: this feature allows you to download newer workouts from Jillian Michaels to the treadmill and allows you to listen to the coach’s directions through the treadmill’s built-in speakers. To benefit from the iFit LIVE technology, you will need to pay $99 annually. 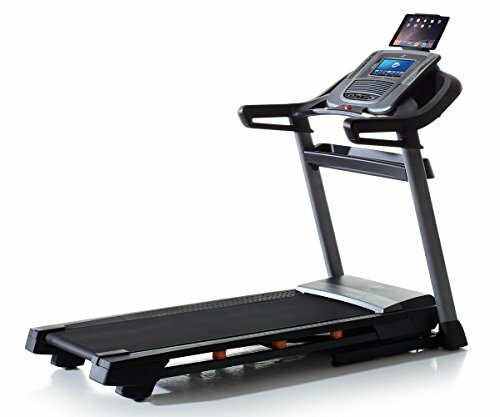 The NordicTrack C 990 is possibly the best under $1000 model currently in the market. The product offers some of the best basic features. 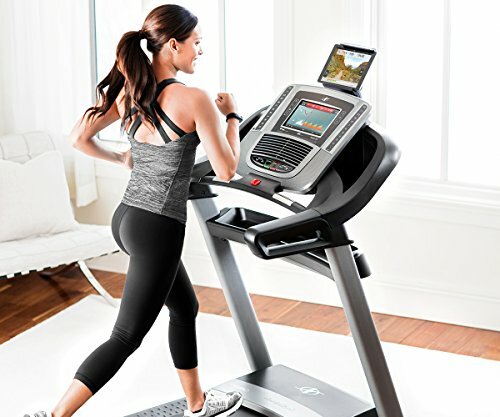 The NordicTrack C 1650 Treadmill allows you to go online while still in your workouts. This model boasts a stable bracket which secures your tablet at your eye level above its console to deliver your favorite entertainment while you are working out. Moreover, it has a 10” touchscreen display which allows you to access your favorite websites, Google maps, and workout statistics. With this treadmill, you will be able to take your next workout to the road. 10” web enabled touch screen which enables you to control your workouts. With the touch screen, you will be able to instantly view the distance, time, speed, heart rate, decline, incline and the number of calories you have burned. The product has a 3.5 CHP drive system. It’s longer, safer and quieter. For minimal vibration and lesser heat, the manufacturer has built it with bigger motor case and dual cooling fans. 20”x60” tread belt which the manufacturer makes with an aim of reducing the friction level for longer lasting and quieter workouts. You can plug your console into the console’s sound system for entertainment during the workout. 34 workout apps for professional training. iFit Live Subscription: to use the treadmill, iFit isn’t necessary. If you want to enjoy the technology’s benefits, you will need an online subscription which is around $99 in a year. 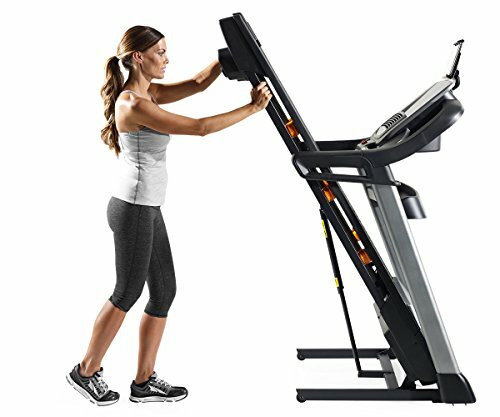 This machine is ideal for individuals in need of a treadmill that is stronger than the starter models. It is more affordable than the commercial grade models. This is also among the best Nordic Track treadmills in 2018. The model features a 3.8 CHP motor; it’s longer and also quieter. The treadmill features a bigger motor case which minimizes the friction levels and dual cooling fans which are important in reducing the heat level. The motor which features higher grade insulation and a built-in grounding brush that is used to protect the motor and makes it run longer hence delivering smooth and lasting power. The manufacturer is confident in the product’s performance and as a result, they have backed it with a lifetime warranty. The treadmill incline ranges between 0-15% and you can easily change it with the touch of a button. By adjusting the incline level you will be able to change the intensity and to include more variety in your workouts. 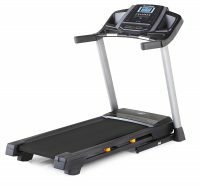 Nordic Track Commercial 1750 Treadmill NTL1415 features a 22” belt that reduces friction and noise level to allow quieter workouts and to enhance the products durability. The belt is stretch resistant and the manufacturer designs it in a way to ensure that it remains at the center of the deck. The belt lubrication enhances the durability and performance of the drive system and reduces the maintenance need. The product’s heart rate monitor will help you remain within your target heart rate and the SPACESAVER technology with EasyLiftTM assist telescoping shock will help you lift and fold the deck for storage and to allow easier cleaning. This model can accommodate any form of workouts with speeds that can go up to 12 mph and workout programs designed by certified personal trainers. You can easily monitor your pulse rate during your workouts to ensure that you attain your goals. The product assembly isn’t that easy. To use the iFit technology you will need to subscribe annually. 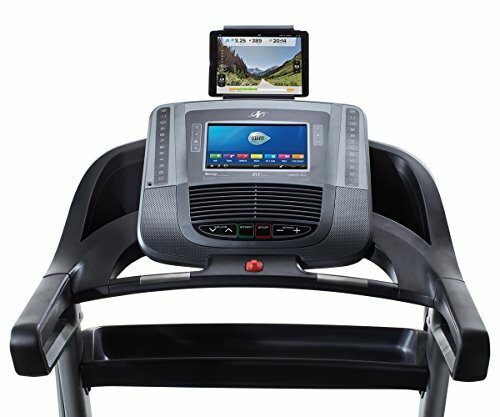 With this NordicTrack treadmill, you will be able to follow your favorite shows or even watch movies while in your day to day workouts. The model has a powerful 4.0 continuous horsepower commercial pro motor which is among the best. The manufacturer specifically designed this treadmill with an aim of reducing friction and noise levels to ensure that all your workouts will be quieter and the product will also last longer. NordicTrack Elite 7700 Treadmill isn’t among those that allow the flagging of your spirits. It has an integrated 15” HDTV which offers motivation and entertainment in high definition. 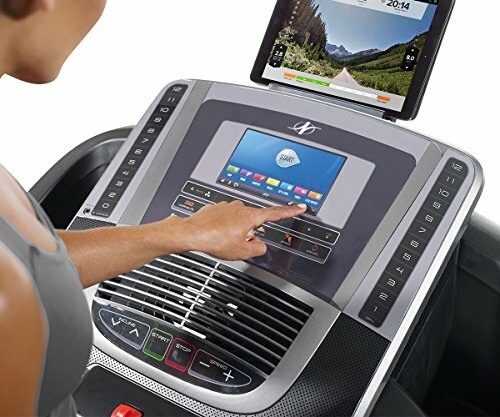 Its web-enabled color touchscreen also adds internet capability to the user’s workouts and therefore you will remain connected while tuning out. 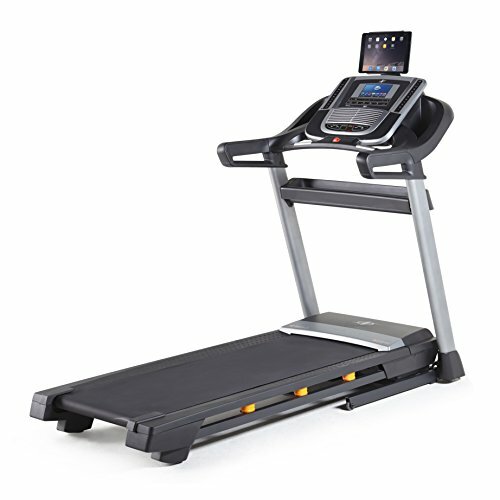 NordicTrack has built this treadmill with 2.5” precision machined and balanced nonflex rear roller which has micro finish coating to reduce the level of friction. As a result, the treadmill is longer lasting and offers a silent ride. You will be able to follow your favorite shows while working out. It has a color touchscreen that will add internet capabilities to your workouts. The treadmill has iFit feature but to enjoy its benefits you will have to pay annual charges. 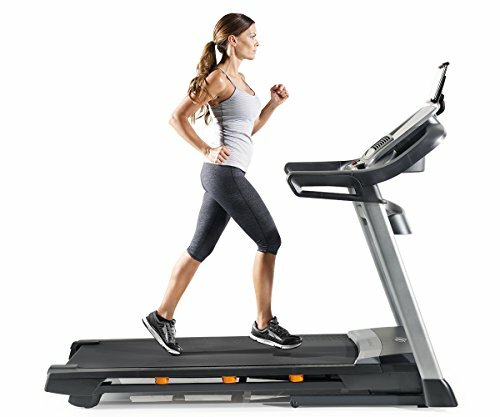 To choose the best Nordic Track Treadmill, you have to decide on the space you can offer the treadmill. A good idea would be to measure your available floor space. You should also measure your intended floor space if you are considering purchasing a foldable machine. And because the manufacturer publishes the treadmills dimensions, you can become an efficient shopper by keeping the information handy. You should also remember that the running space which is the size of the belt is likely to affect the overall treadmill’s footprint. If you are a walker you should consider a 20” wide belt but if you are a runner a 22” wide belt will be suitable. A standard home treadmill should be around 7” long and 3” wide. However, some models are relatively shorter and others require more room when in use but after the workouts you can choose to fold them. The manufacturer will offer foldable treadmills at different quality levels and you should, therefore, look at the specifications and dimensions of each treadmill before purchasing. While in the purchasing process, you should imagine your workouts. You should decide whether you prefer the long easier walks, intense running or something in between. This will help you in narrowing down your treadmill selection depending on the motor power. If you need heavier exercises, you should consider models with powerful motors. The type of exercise you prefer will also help you select the track size. If you are a walker you can save lots of cash by selecting the shorter tracks. But if you are a tall runner you will need more space for stretching purposes. Another consideration to make when purchasing a treadmill is the price. You shouldn’t take the list prices very seriously because the manufacturer will also offer discounts from time to time. 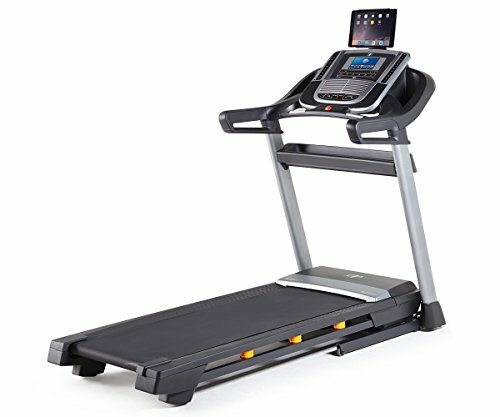 NordicTrack models’ prices are usually between $1,299 and $3,499 but there are times the manufacturer will offer them for as low as $799. However, the cheapest treadmills will involve problems such as easily broken parts, squeaky operation and unreliable electronics. Mostly, they won’t be of great value in the long run. Moreover, you should decide on the features you will be using. NordicTrack offers treadmills with special features but some features are not important in cardio training but they will also improve your experience during the training. Some examples of these features include iPod compatibility, preset workout programs, web browsers and speakers. Consider the features that will assist you in meeting your workout goals but when doing this, you should be honest with yourself. Some of the most important features you should consider include automated incline and workout programs. Reading customer reviews will also help you in selecting the best treadmill. We consider the NordicTrack T 6.5S to be the best treadmill among the reviewed. The product has industry standard specifications and several whistles and bells that make it one of the best in the market. The treadmill can support almost any user with its 20" x 55" running space, 2.6 CHP motor and a highly durable frame. For workouts diversity, the product has 20 apps and it’s also equipped with the perfect sound technology.